Criminal profiler James “Fitz” Fitzgerald (Sam Worthington) enters his quarry’s cell carefully, as if he’s afraid a sudden movement will set the Unabomber off. Ted Kacyznski (Paul Bettany) has already requested his presence, and under pressure from his former FBI colleagues, fearful that a public trial offers a bullhorn to a terrorist, Fitz agrees to secure a guilty plea. In the two-part premiere of Discovery Channel’s Manhunt: Unabomber, he sidles up to the subject slowly; he flatters Kaczynski’s intelligence, reprising his role as the man’s worst enemy and only friend. Still, he triggers the trip wire: After Fitz’s ham-fisted mention of the agreement, Kaczynski turns to address the agents watching from an adjacent room. “And he was doing so well,” he clucks. The distance between the two sequences—piercing original and half-blurred facsimile—begins to explain Manhunt’s main misstep. Created by Andrew Sodrowski, the miniseries toggles between 1995, when Fitz, fresh from Quantico, comes onto the case, and 1997, when he’s brought in from a remote cabin to confront Kaczynski again. In the meantime, it’s clear, his obsession with the Unabomber has caused explosions of its own: His wife (Elizabeth Reaser) and children are absent, and his isolation bears a resemblance to Kaczynski’s. “Nobody even tries, nobody except for Ted,” Fitz says admiringly, leaving unmentioned the consequences of that effort—a 17-year mail bombing campaign that killed three people and injured 23 more, an unreadable treatise on his anti-technological anarchism, and a few self-aggrandizing letters to the Times. In this bifurcated structure, Manhunt aims for a portrait of a profiler so in tune with the man he’s profiling that he loses himself in the process, though in effect the series’ understanding of Fitz—and his relationship to Kaczynski—runs no deeper than the mirror image it presents. Unaided by Worthington’s square, stoic blankness, Manhunt’s protagonist is merely a cipher, as thin as the dossier he’s handed when his investigation begins. In his 2007 feature on criminal profiling—which starts, fittingly enough, with a serial bomber—The New Yorker’s Malcolm Gladwell writes, “We are now so familiar with crime stories told through the eyes of the profiler that it is easy to lose sight of how audacious the genre is… The profiler sifts through the case materials, looks off into the distance, and knows.” The insight of The Silence of the Lambs is that it’s not so simple. In that magnificent first exchange, Lecter’s astute reading of Clarice emerges, for instance, from a thicket of specifics—her scent, her bag, her shoes, her barely hidden accent—which Demme then animates, and reshapes, through his abundant use of the first-person perspective. As the camera scans the faces of policemen at a funeral parlor, or as the film flashes back to Clarice’s childhood, our point-of-view mimics hers; the search for the murderous Buffalo Bill reaches its climax in a night-black basement, the sequence’s masterly suspense built from her blindness. It’s not, after all, a flash of inspiration that leads Clarice to Bill’s doorstep, or to realize that she’s caught the killer at home—it’s the care with which she follows leads, conducts interviews, uncovers connections among the clues that others might have missed. In The Silence of the Lambs, “profiling” is another word for “understanding,” whether applied to our heroine, her interlocutor, or her antagonist: Neither the film nor the case it depicts hinge on empathetic magic, because Demme, the consummate director, recognizes watchfulness as a form of work. It’s unfortunate that Manhunt muddies the “wudder,” as Fitz might say, by spending so much time on his strange attraction to Kaczynski, for its in-depth examination of investigative logistics—in particular the painstaking linguistic analysis that ultimately helps identify the Unabomber—manages to find in the bone-dry subject matter (ideolects, manifestos, a 30-year-old Chicago Tribune style guide) the sort of cerebral tension that Worthington and Bettany’s wan repartee never musters. Over a plate of nachos and at a newsstand selling the Post, before a whiteboard and inside a BART train, Manhunt, in a few efficient strokes, explains the fascinating scientific concepts on which Fitz bases his profile and—more importantly—gestures at the profiler’s real dilemma: To come close enough to the criminal’s logic to understand how he operates, while remaining far enough away to see his patterns clear. That Manhunt interrupts this narrative to weave through Fitz and Kaczynski’s frustrating two-step underscores its misapprehension of the “audacious” subgenre Gladwell describes. It isn’t that the profiler knows the criminal, but how, which is also, as it happens, what separates the finest entries in the genre from their more middling counterparts. Even when the protagonist is a permeable membrane, so empathic that he inhabits the mind of the killer—such as Will Graham, played by William Petersen in Michael Mann’s 1986 film Manhunter and by Hugh Dancy in Bryan Fuller’s NBC series Hannibal—the trick is to show the psychic kinship, not to state it outright. (“I do know the Unabomber,” Fitz claims in a later episode. “I know him like I know myself.”) Demme’s commitment to Clarice’s perspective, like Mann’s use of prurient tints or Fuller’s artful, corpse-strewn tableaux, illustrates what’s truly captivating about the profiler/criminal relationship: That it’s possible to see malevolence, whether in the diamond-shaped panels on a dress or the arrangement of bodies at a crime scene, and thereby to control it. It is, in the final estimation, a particularly unsettling expression of the narrative impulse, constructing coherence from the chaos of life. By mangling its subordinate arc, attempting to sketch the correspondences between Fitz and Kaczynski without drawing the lines between the dots, Manhunt becomes, to use the Unabomber’s phrase, a “feeble imitation,” or at minimum a series that misconstrues its own strengths. It attempts to “read” the pair as Lecter does Clarice, but it only has the patience for the mundane details of one man’s makeup, leaving the other’s to the shorthand of cliché. 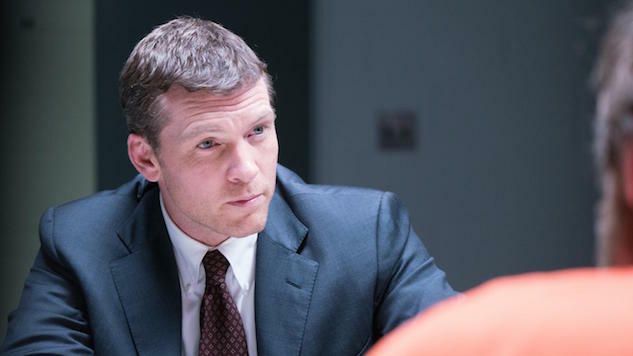 Would that Manhunt: Unabomber had heeded its own main character: In the very first episode, Fitz warns of the cost of “inherited assumptions,” but the series itself is built on a borrowed profile, working someone else’s case. Manhunt: Unabomber airs Tuesdays at 10 p.m. on Discovery Channel.